Secularists are just like everyone else, having a sense of right and wrong. However, they are unable to determine where it comes from, and try to believe that God is not the source. This doesn't work. Some folks try to figure out how it evolved, which leads to further inconsistencies. Biblical creationists do not have this problem. When a professing atheist says that something is bad or evil, he or she cannot give a foundation for why. In fact, they are standing on the biblical worldview when declaring something evil or good, instead of their usual "survival of the fittest" paradigm. (Concepts like altruism throw a monkey wrench into the works, as they cannot be explained through evolution.) Further, they cannot account for the laws of logic, which are not material, nor are they reached by consensus. Atheists are notoriously bad at both logic and morality. Suppose an atheist dislikes something a creationist says because he cannot deal with the content. 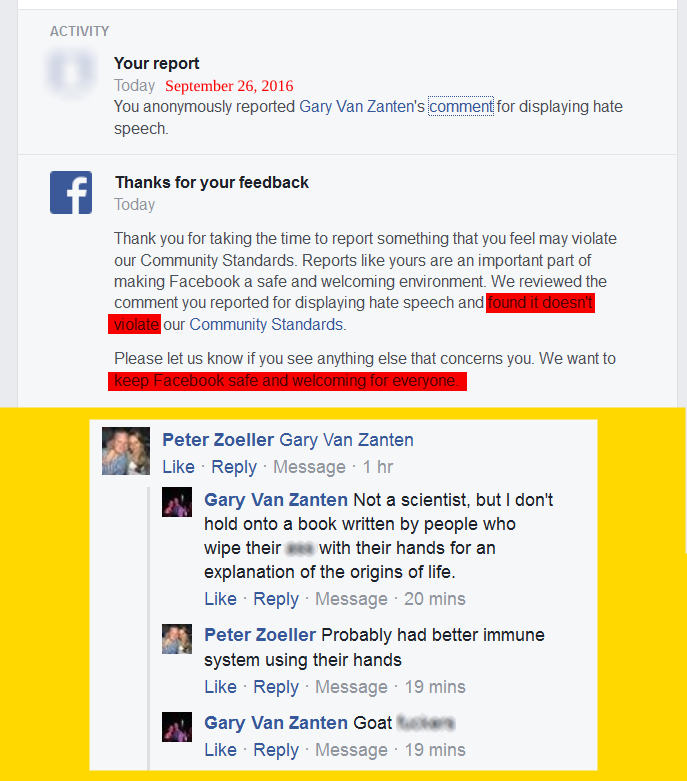 He usually tries to finagle a way to demonize the creationist and get others to join in. To give an example — I reckon it's easier to draw from my own experiences than to make up something hypothetical, and I do have a passel of them. There was a post I did about the legendary Emperor Yu and a "great flood" in China. In my introduction, I made a reference to a remark that a geologist made on how this flood may have been the source of the Genesis Flood legends, which I obtained from the article to which I had linked. A furious misotheist declared me a liar. His "logic" was because he could not read the article in Science magazine, which required payment or membership in the American Association for the Advancement of Science. (Obviously, the creationary scientist to whom I linked has read the full article.) He was sure that what I cited was not said by the geologist, so I was declared "either sloppy and incompetent or else a pathological liar". As it turns out, I had misread the material and misquoted the geologist. The atheopath tried to "correct" me by posting in an unimportant forum, but was using bad reasoning and correcting the wrong thing, since Science magazine was the wrong place to look for the quote. When the geologist that I misquoted included me in a group mailing, I saw where my error was, corrected it, and issued an apology (for which he thanked me in an e-mail). The angry atheopath is now congratulating himself for something that he not only had wrong himself, but was only marginally involved in getting my attention to correct the wording. Aside from libel, my accuser was guilty of bifurcation (either-or fallacy, ignoring other possibilities). In addition, it was the fallacy of argument from personal incredulity (he could not read the article in Science). Many times, he has called me "evil" and is constantly playing the "Gotcha!" game (looking for something to ridicule), as well as inaccurately calling all biblical creationists "liars". He has no credibility, so there was no need for me to consider his incoherent rants. More than this tinhorn's bad logic, what about morality? His "morality" was for the purposes of demonizing this child and building up his own ego, not for righting a perceived wrong for the sake of doing "good". What is "evil", how does an atheist define and defend it consistently, what is his basis, why is something "bad"? Suppose a creationist really was lying. According to a materialistic worldview, there's no foundation for condemning a liar or referring to individuals or concepts as "evil"! We all are responding to our internal chemistry and doing what we think is best for our own benefit (see "Monkey minds — How evolution undercuts reason and science" and "Atheism: Hopeless, Meaningless, Purposeless"). Using their materialistic presuppositions, I was born to be a biblical creationist, so others have no right in condemning that. You savvy? When atheists and evolutionists lie, bully, misrepresent, do violence to logic, and so on, they undermine their own credibility — which is severely lacking to begin with. They strike me as having low emotional as well as intellectual maturity, which can be seen by their use of "talking points" and empty rhetoric, targeting the person instead of dealing with the topic at hand. Watch for the frequent tactic of "change the subject and attack". Atheists (sometimes calling themselves secular humanists, "freethinkers", and the like), agnostics, and other believers in naturalism have started a movement to call themselves "brights". This is fallacious right out of the gate, indicating that they are superior in intelligence to those of us who believe in God the Creator and redemption through Jesus Christ, as well as others who reject philosophical naturalism. This movement gained some traction from atheists who wanted to distance themselves from the negative connotations of "atheist", but "brights" is an arrogant self-identification term. On a related note, I do not have much use for The New York Times, but Albert Mohler mentioned an article there that is interesting. The subject of artificial intelligence has been a frequent topic in science fiction for decades. In the article, "How Tech Giants Are Devising Real Ethics for Artificial Intelligence", the subject was markedly different than sci-fi offerings. "...researchers at Google’s parent company, Alphabet, and those from Amazon, Facebook, IBM and Microsoft have been meeting to discuss more tangible issues, such as the impact of A.I. on jobs, transportation and even warfare". Whoa! Let's bring that horsie down from a gallop to a walk, shall we? Let's face it: companies are in it for the money, not the good of humanity. If people benefit, well, that's nice, and can help increase stock options. That's okay, they're not charities, and they don't seem to hide their raisons d'être from the world. But what is their morality? People do not trust Google and Facebook very much (and Facebook is notoriously pro-leftist and anti-Christian, with blatant double standards). Added this after I wrote the article. Click for larger. Used under Fair Use provisions for educational purposes. Microsoft scored high in the area of trust, which surprises me because of rushing faulty products to market, constant upgrades and patches, and the way people refer to them as "Micro$soft". What kind of results can money-oriented secular companies (many with public trust issues) agree on in the area of ethics? I have serious doubts that they consult the Bible for guidance. Atheists and evolutionists lie very, very frequently. There is a great deal of fraud in peer-review and in the pronouncements of evolutionists, so they are simply acting in accordance with their worldview. But secularists are bothered by this, tacitly admitting that God is right (Romans 1:18-22), and seek morality in science. What further puzzles them is the way humans are not only capable of great evil (which might be consistent if morality evolved and there is no Creator God), but can do tremendous good, even including self-sacrifice. When they suppress the truth of God revealed in his Word, their "morality" is nothing more than writing in the sand, washed away by the sea. If Darwin’s theory of origins is true, evil doesn’t exist, and notions of morality are up for grabs. That would be a reality too horrible to endure. Except for some psychopaths (and who knows about them), every human being has a moral sense. If you think not, try cutting a guy off on the freeway, and all kinds of colorful “should” concepts will fly. The moral sense may be twisted, but it’s there. Theists use the near-universal moral sense as evidence that we were created in the image of God. 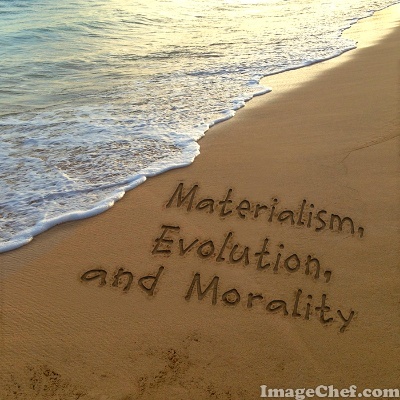 Scientific materialists look for ways to explain how morality evolved for some survival benefit, whether for the individual or for the group, by mutation and selection. They think they can partially explain the emergence of cooperation, but they struggle when they see humans acting utterly selflessly (altruistic). To read the rest (and I'd be very much obliged if you would), click on "Scientific Materialists Crave Morality But Can’t Evolve It".